This time I flew a non-directional beacon approach and a DME arc. It was a lot of fun and very rewarding. I am making good progress and I understand less and less why the instrument rating has such a rocket-science reputation in Europe. It probably is more difficult over there because everybody is saying that it is. To be clear: I think an instrument rating is achievable for any pilot. I hope that EASAs new approach will affect the number of IR-holders. But let’s talk about the flight. I flew a NDB track only once before, during the first simulator lesson here at Centennial. Until then, I always used the ADF for situational awareness to home to a station. Then the ADF I used produced smoke in the cockpit and a fancy GPS replaced it. Tracking a NDB requires a bit more thinking than just homing towards it. At first it was very complicated but my flight instructor helped to sort that out. Practice is, what helped me. I don’t think I could have learnt it by reading about it. 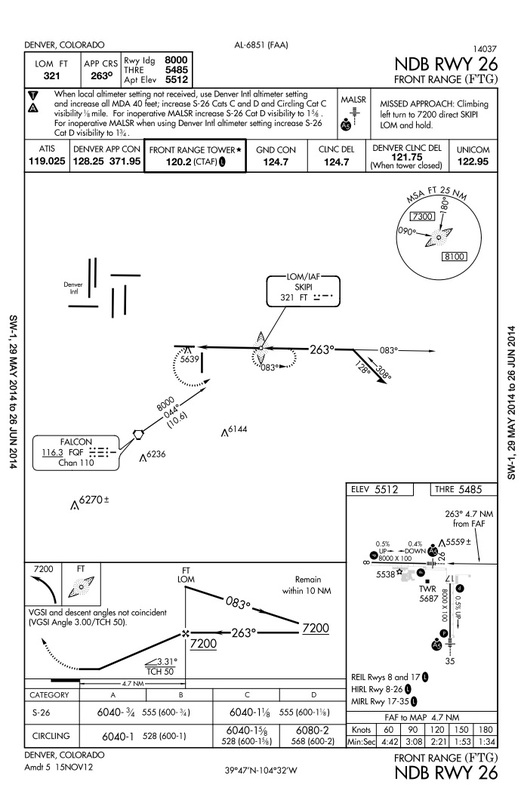 During our practice approach we even had some crosswind and I was able to figure out the right wind correction angle and popped out of clouds right in front of the runway. What made me feel a bit uncomfortable about this type of approach was that you have to rely on time and speed to initiate the missed approach. Now that is no problem if you have a GPS that is telling you your ground speed. But with minimum equipment for this approach, an ADF, you can only guesstimate your speed above terra firma. I flew a touch-and-go and flew the missed approach procedure. I already expected to be anywhere but on the hold, but it all turned out fine. I made a parallel entry and started to fly the racetrack pattern. It turned out that NDB holds are almost as intuitive as VOR holds. The needle points to the station, it is as simple as that. Again, I think only practice can help (and the beloved pause button of the flight sim), since talking about NDBs can be confusing indeed. Then it was time for my first DME arc. One gotcha on this plate is the altitude for the arc. I simply looked at the approach profile which says 5500 outside of 7 DME. I learned that is only for the procedure turn and the altitude for the arc is printed on the plan view. It would have been clear to me at ground school but there you can see how high the workload still is for me while flying. The arc itself is easy to fly, even corrections for the right DME distance. The entry but foremost the end of the arc is quite challenging. 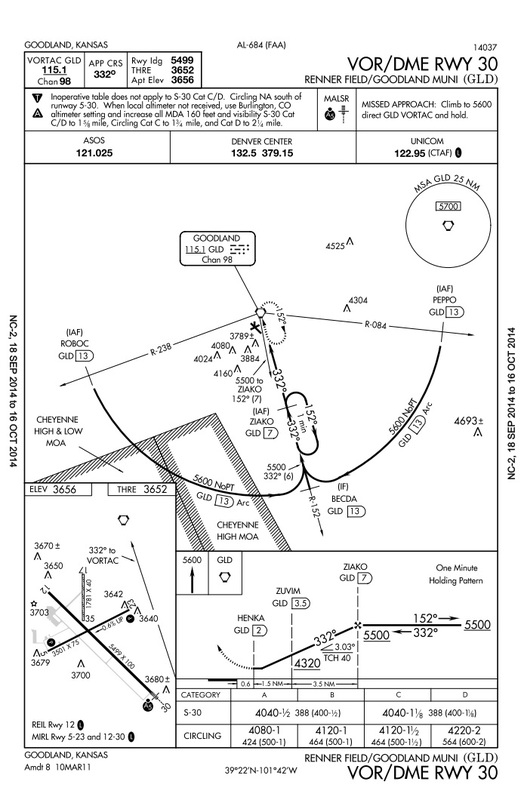 I almost overshot the approach course because I was happily flying the arc in the steady rhythm of turn 10-twist 10. While flying the arc I suddenly understood the functioning of the VOR better, I can’t explain what exactly I learned but one thing is for sure: The training for the instrument rating makes me a more confident pilot. By the way, I am tracking the costs of my rating and it seems it will be cheaper than I thought. After 10hrs in the simulator for $55/h I will need 30hrs in the real plane. I can split time with other students so an hour in a C172 costs only $60. I believe it was absolutely the right decision to do the IR in the United States, not only because I see my future here. Nobody has ever told me that this rating was difficult to get. The flight school simply put me in the sim and started to challenge me. Of course it isn’t a piece of cake but other than in Europe nobody would ever say that out loud. Not only flying is about attitude, is it?